Stapleton is a village in south-west Leicestershire, in the parish of Barwell and near the town of Hinckley. Five nonconformists were noted here in 1676, four of whom were women, but their denomination is not recorded. Two families of ‘Anabaptists’ lived here in 1706. There seems to have been very little nonconformity in the later 18th and early 19th centuries. The first record of Methodism comes from White’s Directory of 1863, which recorded the presence of a Methodist chapel. His later directory in 1877 is the first to record the presence of a Primitive Methodist chapel, although it was likely to have been the same one. Neither source mentions when the chapel was built. 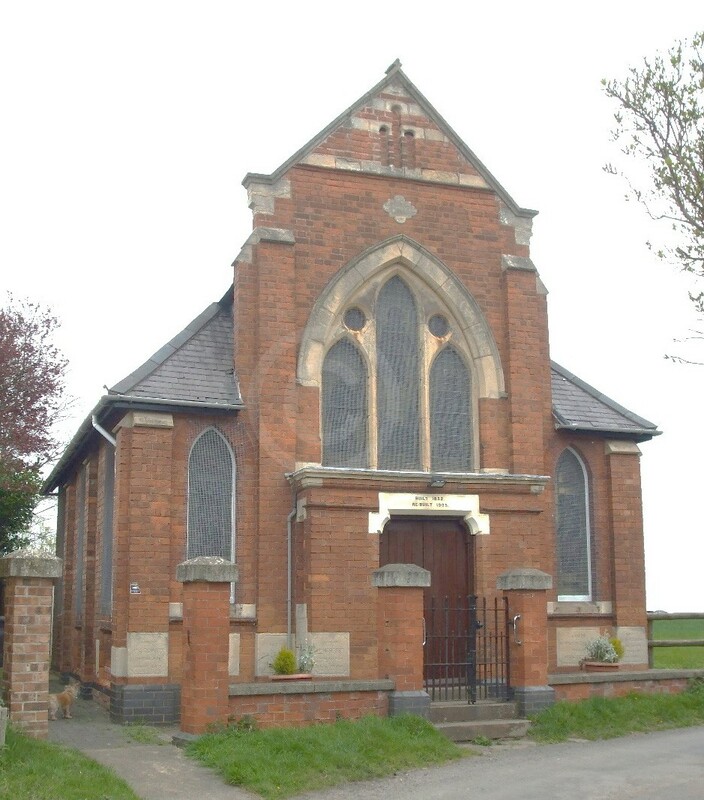 The most informative source is that of Kelly’s Directory of 1908, which records the presence of a Primitive Methodists chapel built in 1852, with 100 sittings. It was rebuilt in 1905. Stapleton Methodist Church remains active in 2016, continuing to worship in the 1905 chapel. White, Hist. Gaz. & Dir. Leics. (Sheffield, 1863) p. 649. Kelly’s Dir. (1908) p. 572.